I remember that I became an aunt for the third time exactly a year ago, and I found it just as exciting and special as it was first time around. I couldn’t help but marvel at the perfection of my little niece’s tiny body and limbs – and of the process that had created her. For nine months she was growing in the perfect environment at the perfect temperature with just the right amount of light and shade. Everything she needed to become a perfect human being. When you think about it, you can understand why babies scream as soon as they’re born. What a shock to leave such a comfortable and familiar environment, what an assault on the senses! Of course, there are also times that the baby will be affected by some of the goings on outside that warm, safe place. A physical shock (such as the mother falling or experiencing significant pain) or high levels of anxiety will disturb that calm and comfortable interior. While it is impossible to avoid everyday stress and worry (as life, sadly, doesn’t always turn out as we might hope) research has shown that high levels of stress can adversely affect the developing foetus, causing behavioural and developmental problems. A study conducted a couple of years ago found that babies whose mothers had experienced significant stress in pregnancy (such as a bereavement or severe relationship problems) had on average a 10 point lower IQ than those without. Still more research has shown that mothers who consciously used relaxation techniques gave birth to calmer babies than those who had not. It was as if the baby had already learnt about relaxing before they were even born! And if we needed further proof, a study of over 1,000 women in Germany found that 70 per cent of those who had used autogenic training (AT) techniques during labour and childbirth experienced ‘notable pain relief’ and were more likely to experience a natural birth process. A certain degree of anxiety during pregnancy is absolutely normal. Especially if it is your first baby, you will probably have many questions regarding the health of your baby, its effect on your relationship, family finances, the kind of mother you’ll be – all manner of normal and sensible concerns. The key is to not keep it all bottled up. It’s crucial to find someone to talk to, be it your partner, a family member or a good friend. Don’t worry about sounding stupid or suffer in silence – people want to help and be supportive! I don’t want to scare any pregnant readers out there, especially as there are many stressors over which we have no control. So please don’t feel guilty if you’ve felt anxious during your pregnancy, the likelihood is that you and your baby will be just fine. But, knowing what we do about the correlation between stress and foetal development, it makes sense to arm yourself with the best possible tools so you can make things as easy as possible on yourself and the life growing within you. There are many things you can do to make yourself more comfortable during pregnancy. Here is a simple relaxation exercise that you can practice on a daily basis to get in touch with your body and your baby. At the end of the exercise, try and focus on your abdomen and the baby inside. You might even want to talk to him or her – from 20 weeks it has been proven that babies can ‘hear’ and maybe even recognise the sound of your voice. Lie down whenever possible, although after 30 weeks it is advised to lie only on your left hand side, rather than flat on your back as this can put too much pressure on your blood vessels and make you feel faint. Exercise can help you feel more energised, although the further advanced you are in your pregnancy, the easier you should take things. Yoga, swimming and walking are all good, low-impact exercises that can help, but make sure you check with your GP or midwife before starting any new exercise programme. 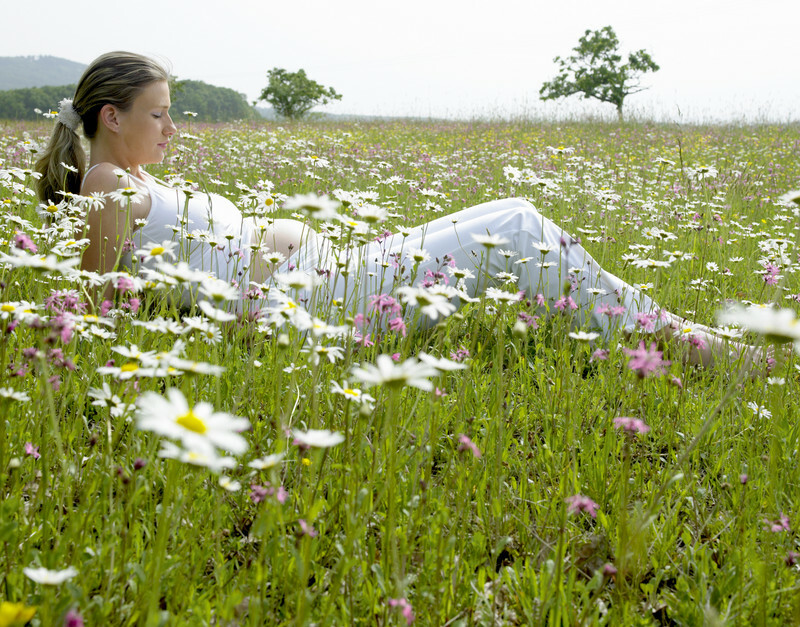 Other good ways of relaxing include listening to calming music or a relaxation tape, or getting a specialised pregnancy massage or reflexology treatment. Remember, happy mum = happy baby! It’s also important to spend time having fun and relaxing with your partner, if you have one. Having a new baby can be an immense challenge to the strongest of relationships, and time you put in for the two of you, both before and after the birth, will pay immense dividends during those broken nights and early days.